The strength of our practice is in providing commercial, hands-on service to our clients and engaging our exceptional network of professional contacts to provide a complete solution. Having the right advice when it comes to buying and selling a business is critical to the outcome. Our team can provide expert assistance and advice for our clients' entry or exit from any business. Establishment of an appropriate structure for our clients' personal circumstances is vital from a Capital Gains Tax and Asset Protection standpoint. When it comes time to sell a business, we can assist our clients with valuation, negotiation with interested parties, preparation of business sale reports and ongoing business support throughout the process. With our extensive commercial experience across a diverse client base, we can provide our clients with the practical advice they need to identify opportunities for growth, improve efficiencies, protect their wealth, increase profitability and achieve their goals. We have extensive experience to assist with estate and succession planning, structuring, business valuations and all other accounting and taxation services. Our dedicated team is focused on adding value to our clients' businesses, not just on meeting their compliance obligations. All of our clients are unique in their own way and all have differing financial and family circumstances that need to be considered. Not being aware of these differences can lead to disastrous results when a change in family circumstances arises. We identify these important matters at the outset and regularly review the family circumstances to consider whether the existing structures in place are appropriate for the future. This can include anything from shareholding and structuring matters to retirement and estate planning. The way in which businesses are conducting themselves from a transactional and operational stand point is continually evolving. As advisers to a diverse range of clients, we need to understand the various options available to our clients. The development of cloud based technology has meant a whole new range of products have become available to our client base. We are able to assist our clients in reviewing their existing systems, considering their alternatives and implementing replacement systems where appropriate and beneficial to do so. We recognise the need to adopt a similar approach to our own business and are continually looking for innovative ways to improve our own operations together with the way we communicate with our own clients. Our Federal and State systems of taxation have resulted in a complex web of direct and indirect taxes. Payroll Tax, Land Tax, Fringe Benefits Tax, Goods & Services Tax and Fuel Tax Credits are just some of the common indirect taxes our clients come across. Penalties for incorrect disclosures can be significant and can be avoided through appropriate structuring and advice. We ensure our clients' indirect taxation obligations are addressed and we assist them with strategies to minimise the impact on their business. Our clients are often confronted with situations that are unfamiliar to them and dealing with the various parties involved can be overwhelming. Whether it be liaising with lawyers, financial institutions or government bodies or acting as their advocate in business, property or shareholder transactions, we are able to represent our clients in all matters and achieve excellent results for them. If our clients decide to take a more strategic approach to their charitable giving, they sometimes consider setting up a Private Ancillary Fund (PAF). A PAF is a personal charitable foundation. It's a flexible and tax-effective form of charitable trust which allows a family to fulfil its philanthropic goals and engage deeply with the organisations it supports, now and in the future. 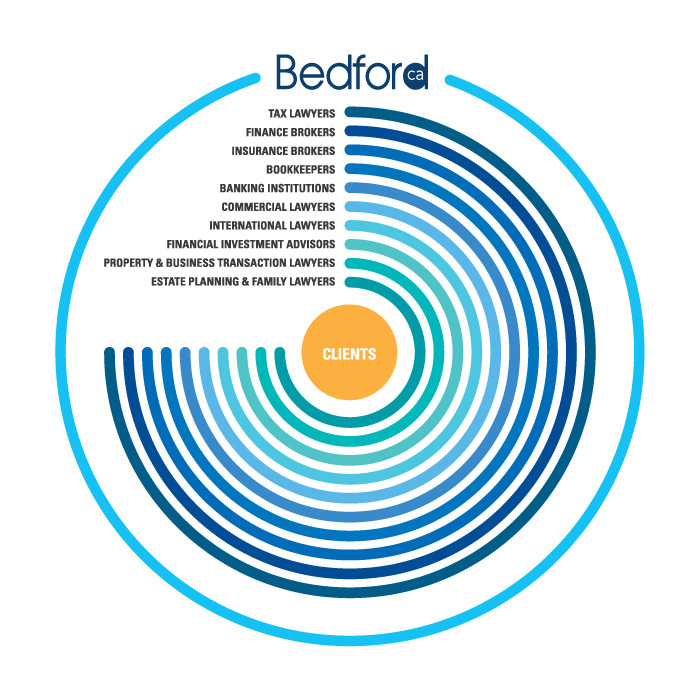 Bedford CA has extensive experience in setting up PAFs and ensuring their annual compliance requirements are met, offering our clients a simple way to leave a lasting legacy.